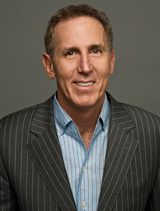 Tony Schwartz is at the center of the new thinking that creates sustainably high performance by managing energy and building capacity vs. simply working harder. Tony draws on multi-disciplinary science as well as on three decades spent studying great performers. He and his organization, The Energy Project, have redefined the way individuals and organizations can thrive in a world of relentlessly increasing demand, complexity and change. A powerful speaker on performance and leadership, Tony makes his points with energy and humor. He is an inspiring presenter who leaves audiences with clear, actionable takeaways. His presence and ideas command attention from the moment he steps on stage. Tony upends common beliefs about work and performance — audiences leave looking at their life and work in a whole new way – armed with the tools to take control. Tony has had a lifelong fascination with high achievers and an abiding passion to change the way the world works. Tony’s most recent book, Be Excellent at Anything: The Four Keys to Transforming the Way We Work and Live, was a New York Times and Wall Street Journal bestseller. His previous book, The Power of Full Engagement: Managing Energy Not Time, co-authored with Jim Loehr, spent four months on the New York Times bestseller list and has been translated into 28 languages. In 2013, Tony began writing the weekly column Life@Work for the New York Times. Before that, he was for three years the most popular blogger on HBR Blog Network. Tony has also contributed articles and blogs to The Atlantic, Fast Company, Business Insider, CEO.com, Lifehacker, CEO.com, and AOL Finance. Schwartz began his career as a journalist. He has been a reporter for the New York Times, an editor at Newsweek, a staff writer at New York and Esquire, and a columnist for Fast Company. He also co-authored the #1 worldwide bestseller The Art of the Deal with Donald Trump, wrote What Really Matters: Searching for Wisdom in America and co-authored Work in Progress: Risking Failure, Surviving Success with former Disney CEO and Chairman Michael Eisner. Tony has spoken to leaders around the world, including at the World Economic Forum, the Aspen Ideas Festival and TEDx; as well at companies ranging from Apple, Google and Facebook to Coke, Genentech and Goldman Sachs; and at organizations such as the National Security Agency, the Los Angeles Police Department, the Cleveland Clinic and Save the Children. The Way We're Working Isn't Working is one of those rare books with the power to profoundly transform the way we work and live. Demand is exceeding our capacity. The ethic of "more, bigger, faster" exacts a series of silent but pernicious costs at work, undermining our energy, focus, creativity, and passion. Nearly 75 percent of employees around the world feel disengaged at work every day. The Way We're Working Isn't Working offers a groundbreaking approach to reenergizing our lives so we're both more satisfied and more productive—on the job and off. By integrating multidisciplinary findings from the science of high performance, Tony Schwartz, coauthor of the #1 bestselling The Power of Full Engagement, makes a persuasive case that we're neglecting the four core needs that energize great performance: sustainability (physical); security (emotional); self-expression (mental); and significance (spiritual). Rather than running like computers at high speeds for long periods, we're at our best when we pulse rhythmically between expending and regularly renewing energy across each of our four needs. Organizations undermine sustainable high performance by forever seeking to get more out of their people. Instead they should seek systematically to meet their four core needs so they're freed, fueled, and inspired to bring the best of themselves to work every day. Drawing on extensive work with an extra-ordinary range of organizations, among them Google, Ford, Sony, Ernst & Young, Shell, IBM, the Los Angeles Police Department, and the Cleveland Clinic, Schwartz creates a road map for a new way of working. At the individual level, he explains how we can build specific rituals into our daily schedules to balance intense effort with regular renewal; offset emotionally draining experiences with practices that fuel resilience; move between a narrow focus on urgent demands and more strategic, creative thinking; and balance a short-term focus on immediate results with a values-driven commitment to serving the greater good. At the organizational level, he outlines new policies, practices, and cultural messages that Schwartz's client companies have adopted. The Way We're Working Isn't Working offers individuals, leaders, and organizations a highly practical, proven set of strategies to better manage the relentlessly rising demands we all face in an increasingly complex world. At the height of his career as a journalist, Tony Schwartz hit an unexpected wall. Why did success suddenly feel so empty? How could he add richer meaning to his everyday life? What guides could he trust on the road to wisdom? During the next five years his search for answers took him from a meditation retreat in the mountains of Utah to a biofeedback laboratory in Kansas, from a peak-performance workshop at a tennis academy in Florida to a right-brain drawing course in Boston. Blending the hunger of a seeker with a journalist's hard-headed inquiry, he discovered the best teachers and techniques for inner development--and identified the potential pitfalls and false gurus he met along the way. What he found dramatically changed his life. It may change yours as well.